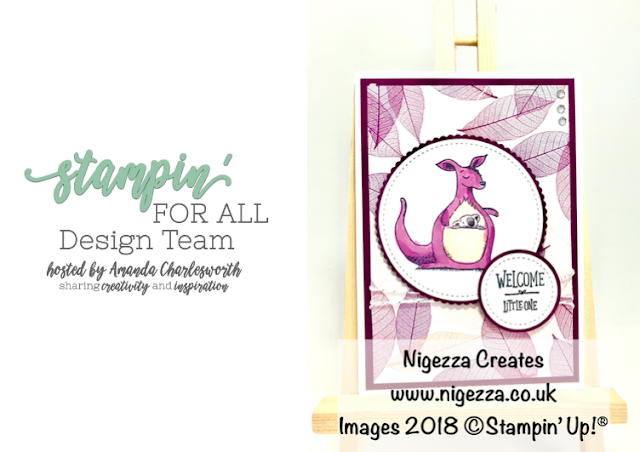 I am a day late this week with my tutorial, this is because it is my turn to set the DT challenge over at Stampin' For All Facebook group. The theme is nature. I took this opportunity to use the Animal Outing again. This set is now growing on me! I didn't want to go with the natural colours instead I changed it up and took my colour palette from the Natures Poem DSP. I hope you like the result! Folded size 5 7/8" x 4 1/8"
Mat size 5 5/8" x 3 7/8"
Mat size 5 3/8" x 3 5/8"
I hope you will watch the video tutorial and see how I made this card.